Light + Love : The Tale of the Two Tita Badens. The Tale of the Two Tita Badens. Anyo calls me Baden. He also calls Baden by the same name (but of course). 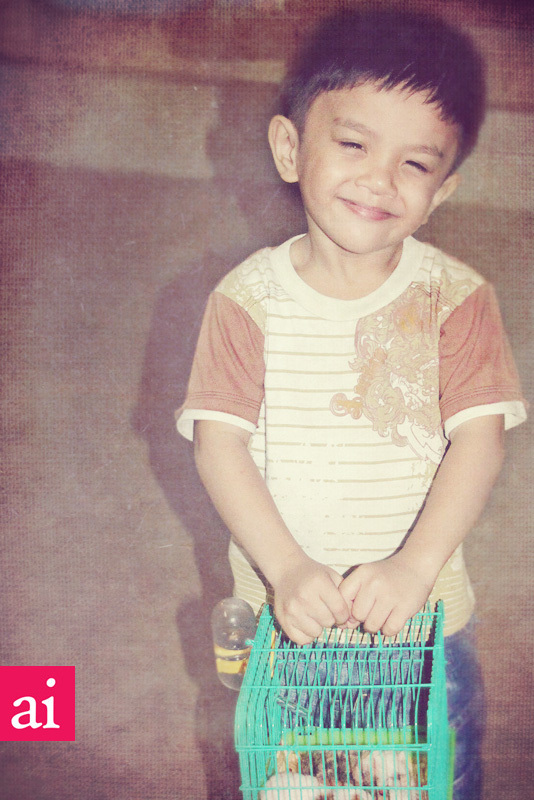 Everytime his Mom B reprimands him for being so naughty, he'd say: "Adto ko Manila. 'Nangga ko Tita Baden. (I'll go to Manila. Tita Baden loves me.)" Everyone in my family knows he is referring to me because he is scared of the real Tita Baden. Haha. Some months back, Baden called home to tell my sister B (Anyo's Mom) that she looked like Anyo in one of her baby pictures. So B told Anyo: "Tita Baden called and said you look alike." Anyo, without hesitation replied: "Nge! Bati man nawng Tita Baden. (Tita Baden is ugly.)" LOL. I spoke with him on the phone today. He could pronounce words clearly now and has become more talkative. And I miss him. Don't grow up too fast, Love. Photo taken during Grandpa's wake. He's holding Aiana's guinea pig pets. Yes, he's so cute. And so naughty! LOL. Hahaha! So cute! I'm sure none of the two Tita Badens is ugly. But he clearly has his favorite! What an adorable little boy Anyo is! Hahaha! Now that you mentioned it, hilig bitaw siya mang-good time! LOL.